Then suddenly you start seeing ads for preschool fairs, and lectures on choosing a preschool, your parent educator tells you the discussion topic is preschool, and other parents ask you if you’ve decided what you’re doing next year, and tell you that you need to think about it NOW before all the best places fill up. It can be very stressful. 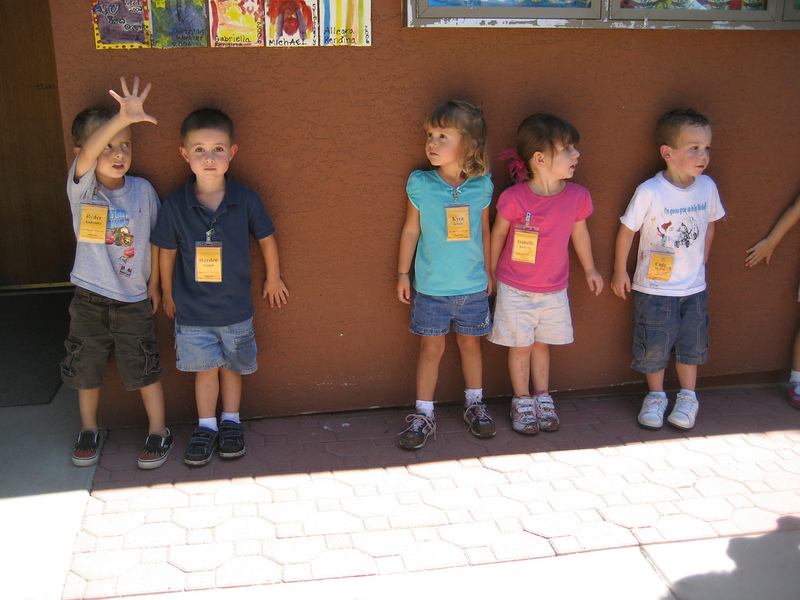 If your child is younger than 3 this September, you don’t have to make any decisions yet about their future preschool. But now is a good time to check out some of those preschool fairs, just to get some sense of what options are available in your area. If you decide you’re looking, the first thing to think about is logistics: What do you need in a preschool in terms of location, schedule, cost, and so on. This entry was posted in Early Learning / Preschool and tagged choosing preschool, class, early education, preschool on January 6, 2015 by Janelle Durham. A place where your child can explore toys, do art, hear stories, sing songs, and make friends? In the Seattle area**, our community colleges sponsor parent education programs, including parent-tot programs and cooperative preschools, which are a fabulous resource for families. For children, classes offer hands-on learning, discovery and play. For adults, they offer on-going education on all topics related to parenting, and connections to other parents. Length of program:Most classes (parent-child and coops) meet for the full school year – September through May. [Note: sometimes families need to leave during the year, so if you’re looking for a class in the winter or spring, check with programs to see if they have openings – they’ll often have a few.] Some have summer programs. Music programs: Kindermusik $22, Kirkland Parks $11. Bellevue Parks $21 for residents. Bellevue public schools, $10 per hour. Bellevue Christian School $10. Bellevue Boys & Girls Club $11. Bellevue Montessori $16. Jewish Day School $18. Villa Academy $18. Seattle Waldorf $22. Cedar Crest $24. College credit and student privileges: Parent education programs are college classes, and parents receive college credit for attending. They can also receive student ID cards, which depending on the school may give access to discounts and services such as fitness center or gym access. Parent Education: Experienced professional educators offer information that is current and research-based but also relevant to the day-to-day reality of parenting little ones. Topics are tailored to the age and needs of the families, but may include: daily routines, discipline, child development, early learning, nutrition, potty training, emotional intelligence, and self-care for parents. Note: Classes for 2014 – 15 start in September but it is best to register in spring or summer, because they do fill up! Green River CC. Limited info available online: www.greenriver.edu/academics/areas-of-study/details/parent-child-education.htm. Auburn area, birth to age 5. ** I don’t know whether community colleges in other cities have similar programs. They might! This entry was posted in Early Learning / Preschool, Parenting Skills, Play and Fun Activities, Seattle area and tagged baby, bellevue, class, coop, Edmonds, Kirkland, Parent, preschool, Seattle, Seattle area, Shoreline, toddler on May 14, 2014 by Janelle Durham.